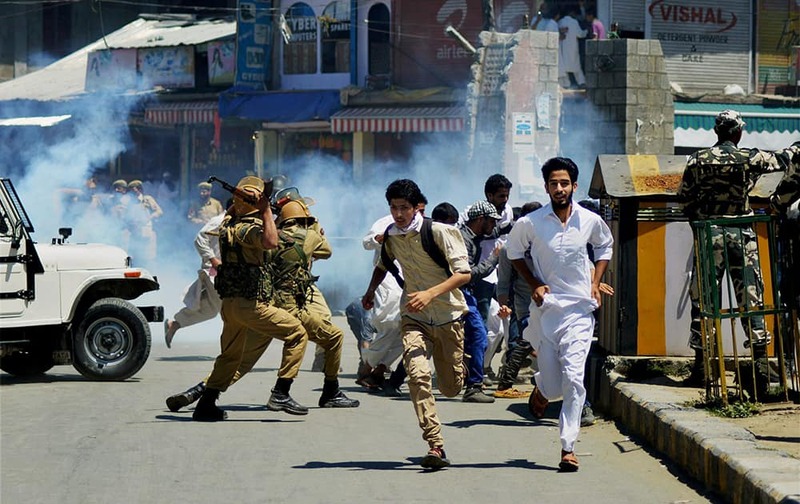 Jammu and Kashmir police and security forces during clashes with protesters in Anantnag. 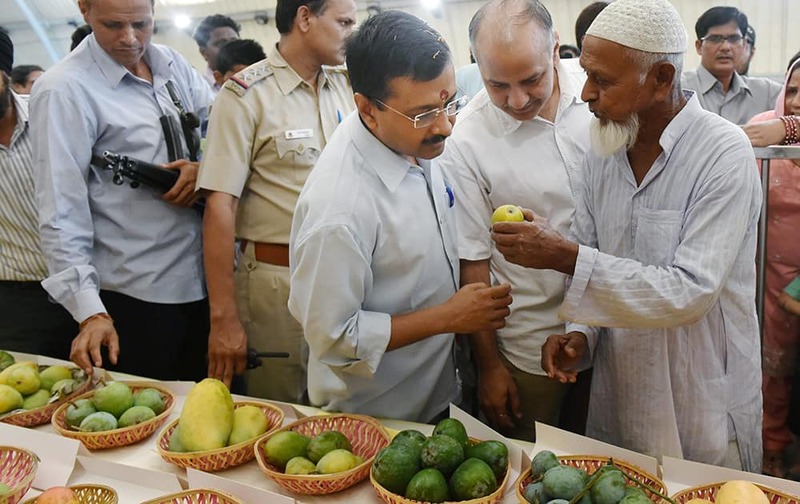 Delhi Chief Minister Arvind Kejriwal along with Dy CM Manish Sisodia having a look of varieties mangoes at the ongoing Annual Mango Festival 2015 at Janakpuri Dilli Haat in New Delhi. 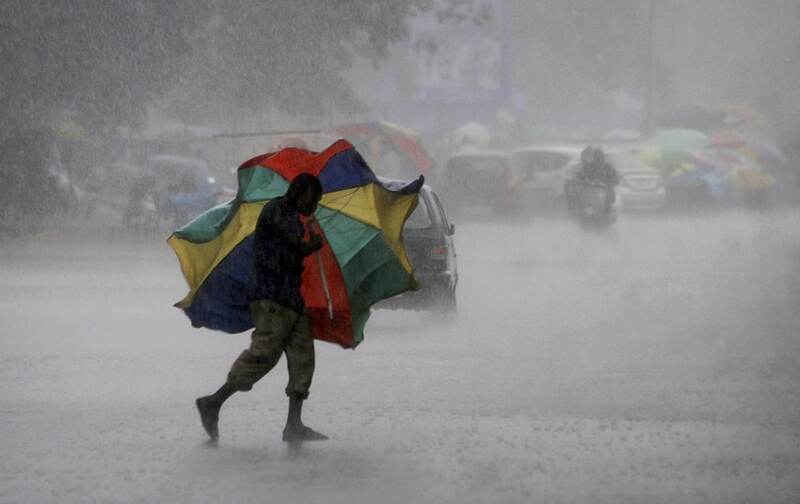 A gust of wind bends the umbrella of a street vendor crossing the road during a heavy downpour in Bhubaneswar. 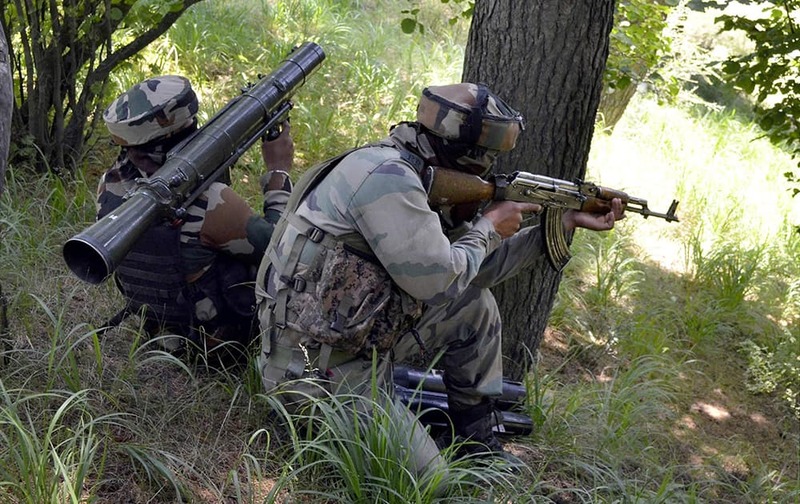 Army personnel take positions during an encounter with militants near the Line of Control in Uri sector of north Kashmir. 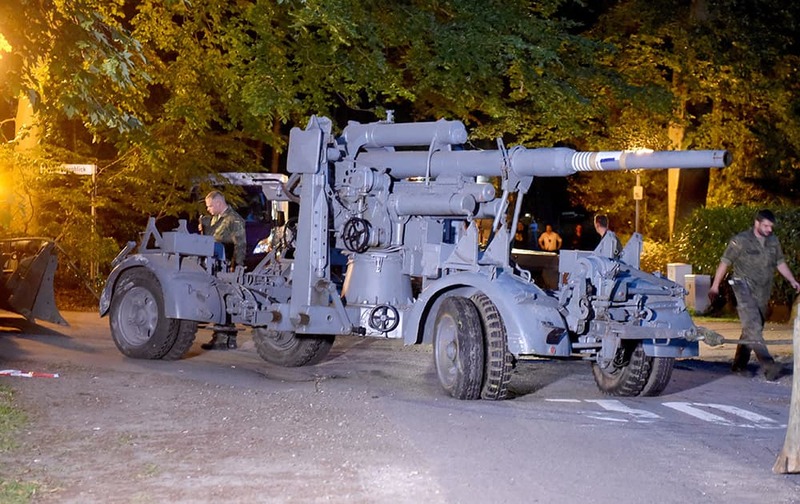 WWII era flak canon is prepared to be transported from from a residential property in Heikendorf, Germany. Authorities have seized a 45-ton Panther tank, a flak canon and multiple other World War II-era military weapons in a raid on a 78-year-old collector's storage facility in northern Germany. 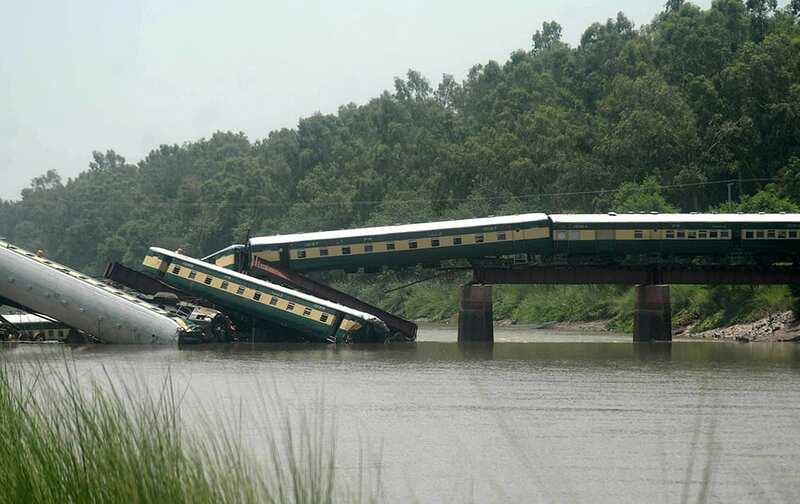 Cars of a passenger train fall after a bridge collapse led a train into a canal in Wazirabad, near Lahore, Pakistan. 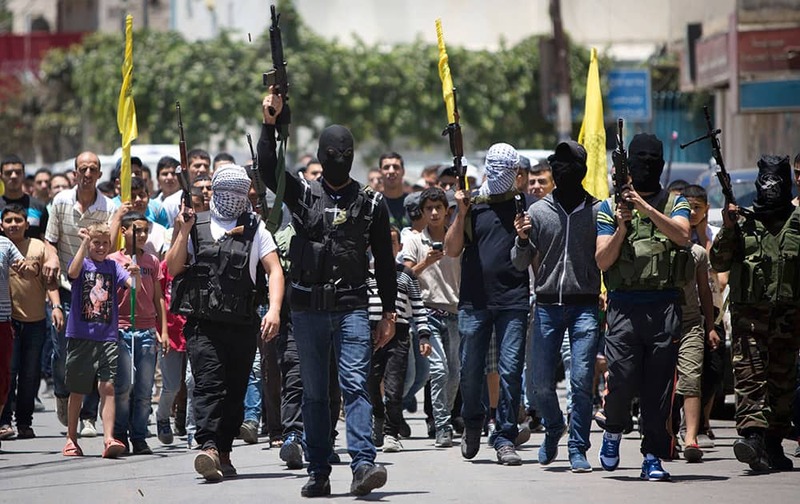 Palestinian gunmen march with their weapons during the funeral of Mohammed Kasbah, 17, who was killed by Israeli forces, during his funeral in the Qalandia refugee camp near the West Bank city of Ramallah. 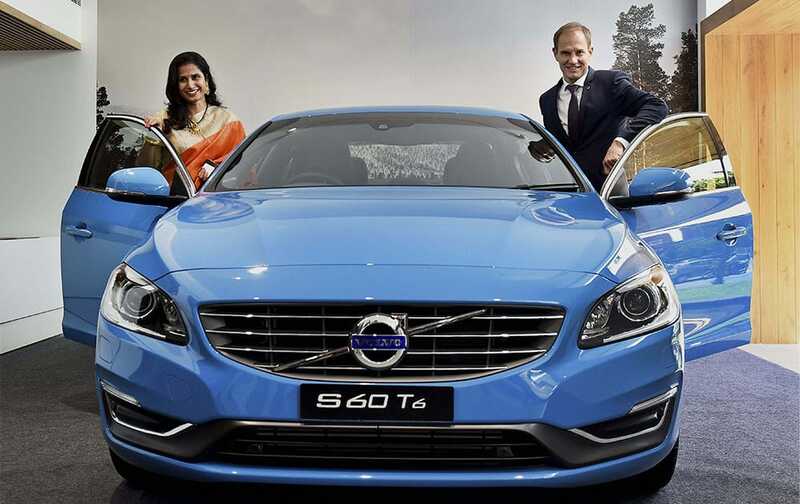 Volvo Auto India Managing Director Tom von Bonsdorff along with Artemis Cars COO Nrithya Shetty at the launch of the Volvo Car S60 T6 in Chennai. 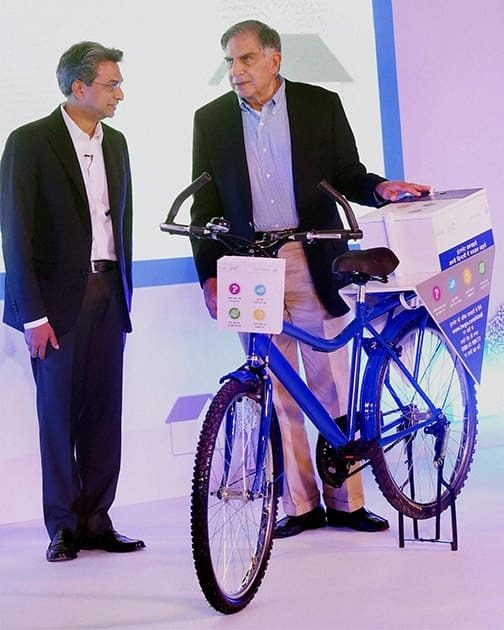 Tata Sons Chairman-emeritus Ratan Tata with Rajan Anandan, Managing Director, south-east Asia and India, Google at the launch of a special programme Internet Saathi which aims to bring more women online in Mumbai. 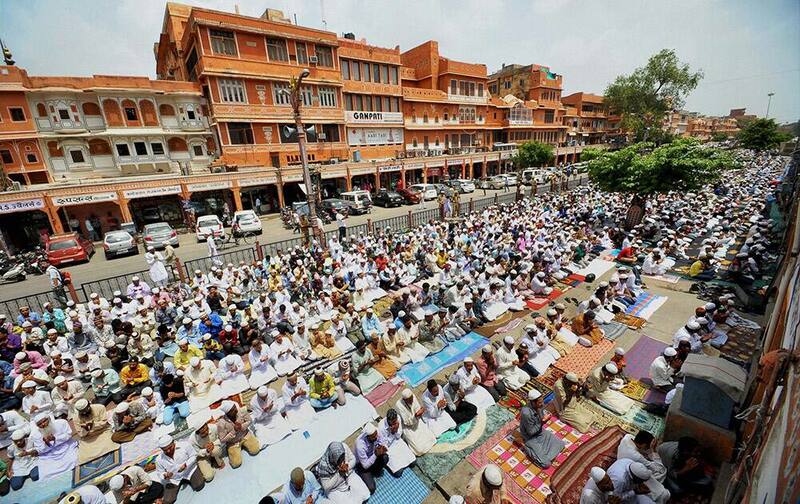 Devotees offering namaz outside Jama Masjid in Jaipur. 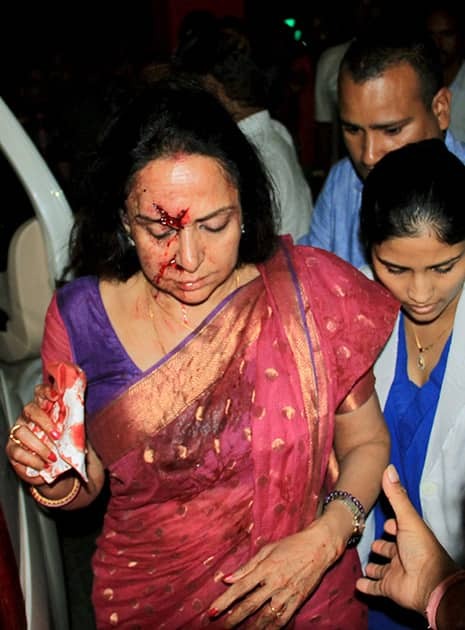 Rajasthan Chief Minister Vasundhara Raje meets with an injured woman undertreatment at a hospital following an accident with Actress & BJP MP Hema Malini's car. 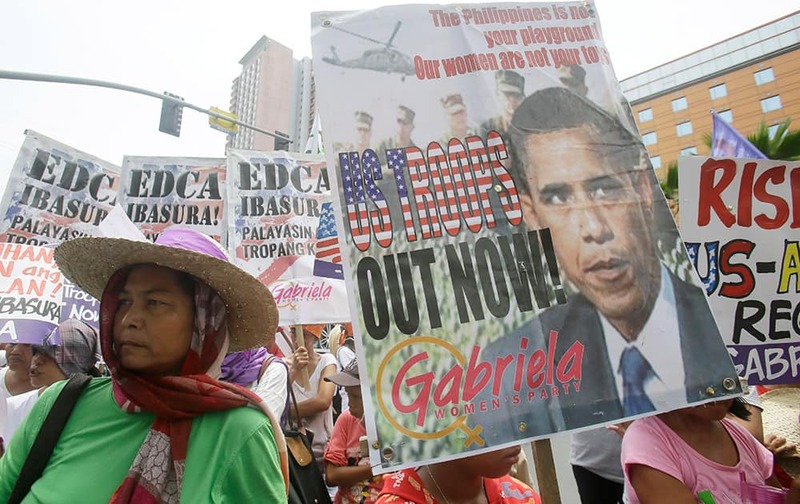 Protesters from the women's group Gabriela display placards during a rally near the US Embassy in Manila, ahead of Fourth of July celebrations in the US. as US-Philippines Friendship Day. The protesters denounced the lopsided friendship between the US and the Philippines which according to them benefits only the US. 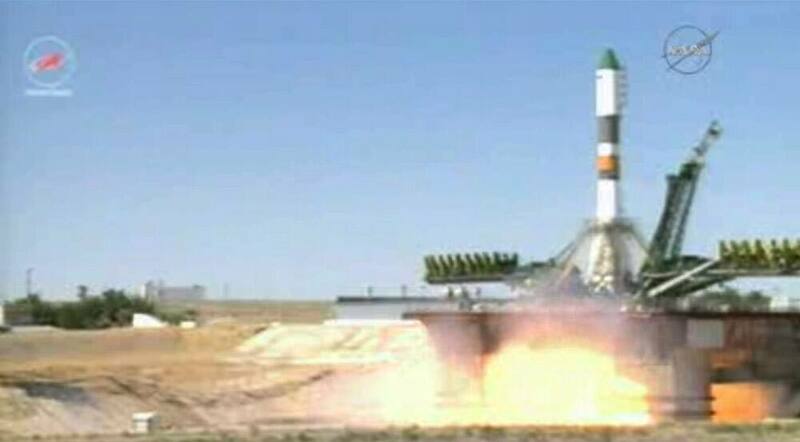 This image taken from video, a Soyuz-U rocket blasts off at the Russian leased Baikonur cosmodrome, Kazakhstan. The unmanned cargo ship is heading to the International Space Station, whose crew is anxiously awaiting it after the successive failures of two previous supply missions. 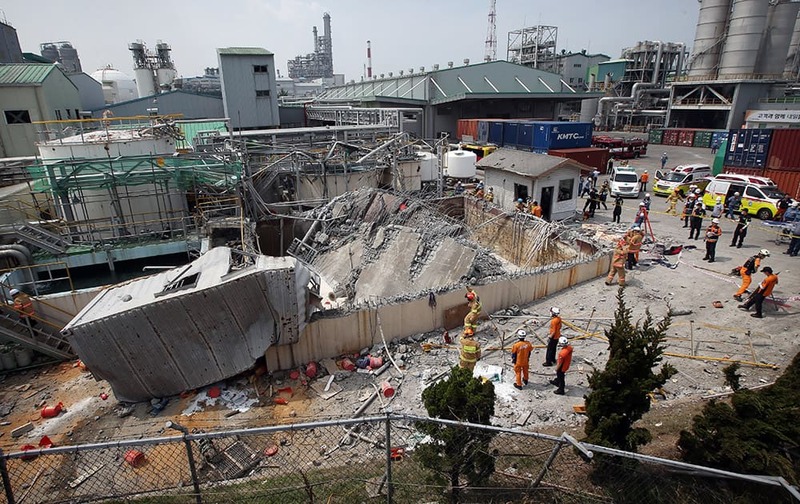 A distorted waste storage facility is seen after an explosion at a chemical plant run by Hanwha Chemical Co. in Ulsan, South Korea. 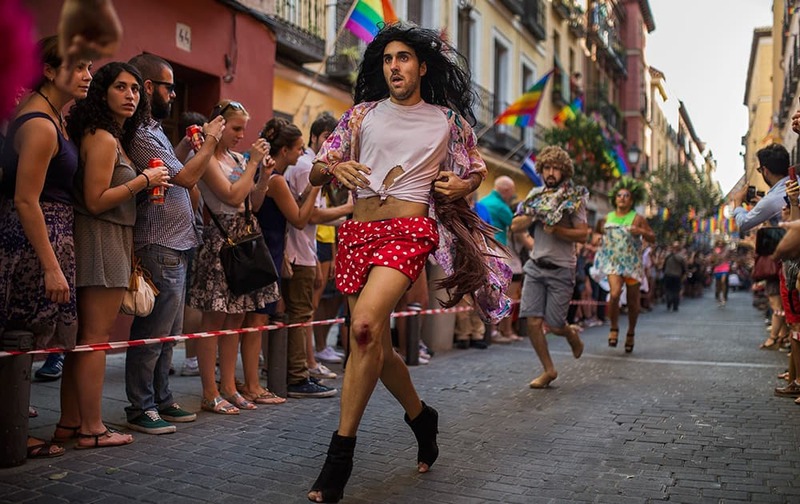 Competitors runs during the Gay Pride High Heels race in Madrid, Spain. 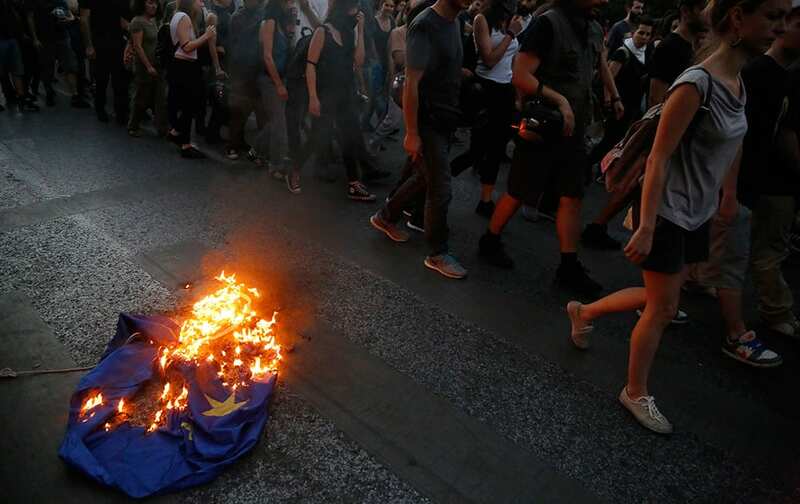 Demonstrators burn a European Union flag during a rally supporting the no vote for the upcoming referendum outside European Union office in Athens. 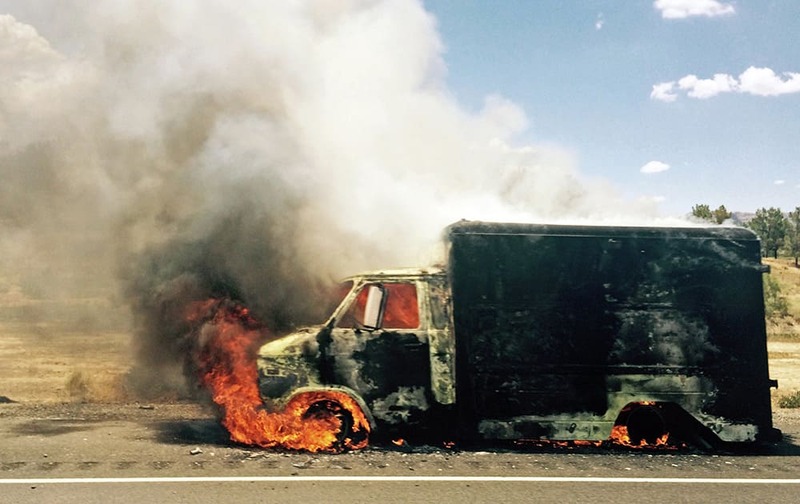 Smoke rises from a burning truck packed with fireworks after it exploded on Interstate 15 near Ivanpah, Calif., close to the Nevada state line. 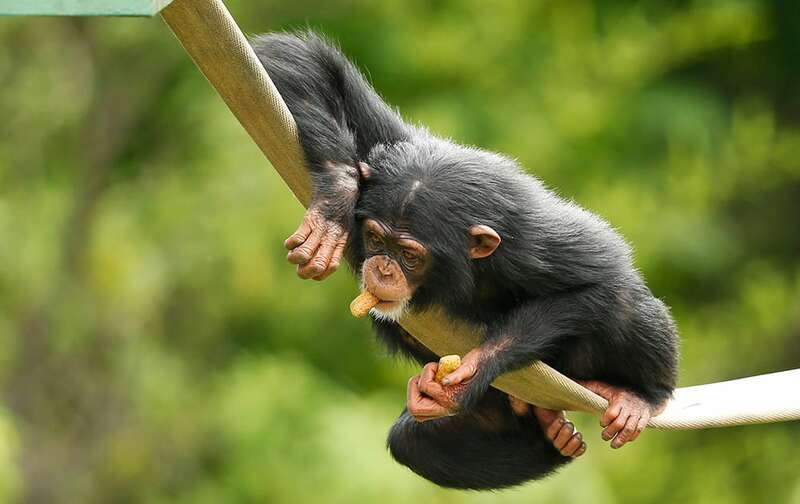 Ruben, a 3-year-old chimpanzee, plays at the Oklahoma City Zoo in Oklahoma City. 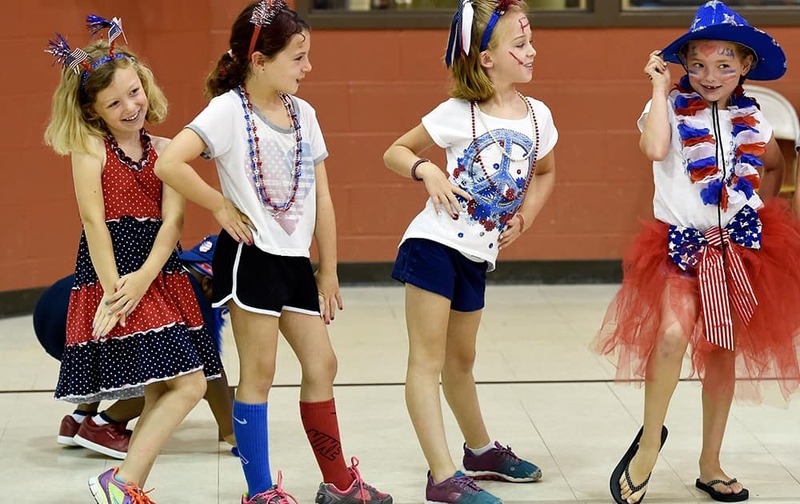 Deaconess summer campers, Emma Griffin, Isabelle Bohleber, Molli Sullivan and Zoey Howell strike their best poses for the judges at the Fourth of July costume contest. 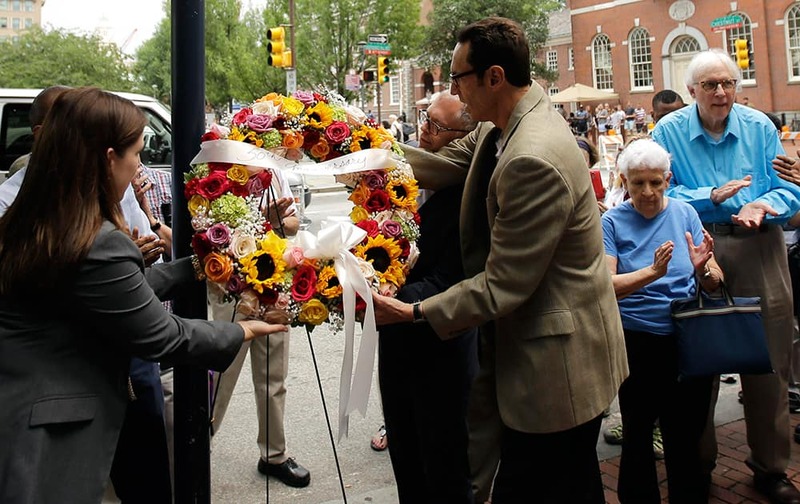 Samantha Giusti, from left, with the Delaware Valley Legacy Fund, Jim Obergefell, the man behind the landmark Supreme Court gay marriage ruling, and Malcolm Lazin, right, with the Equality Forum, hang a wreath at the Gay Pioneers historical marker across from Independence Hall and the Liberty Bell Center in Philadelphia. 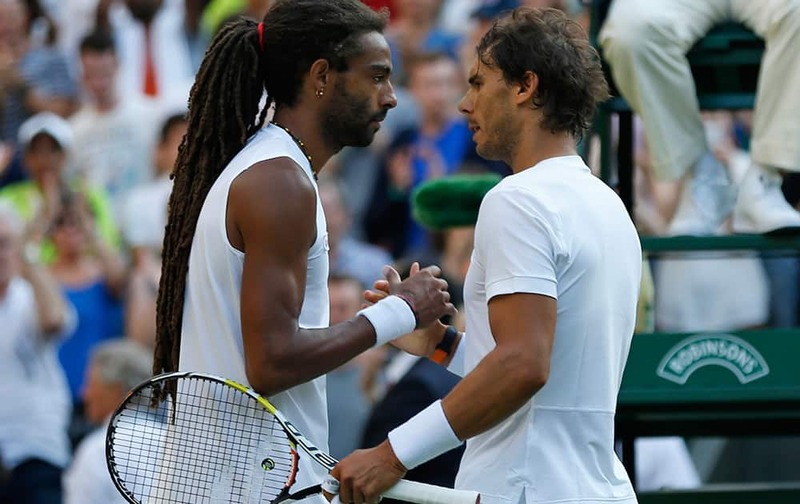 Dustin Brown of Germany shakes hands at the net with Rafael Nadal of Spain, after defeating him during the singles match, at the All England Lawn Tennis Championships in Wimbledon, London.